Cross Wall Art Decor - Christian Cross, Christian Wall Art, Metal art cross wall hangings, Haitian Metal Art, Decorative Christian Gifts > Hand painted cross wall art - Christian Gift, Metal cross wall hanging - Christian art - 12 1/2"
Hand painted cross wall art - Christian Gift, Metal cross wall hanging - Christian art - 12 1/2"
Metal art cross wall hanging. 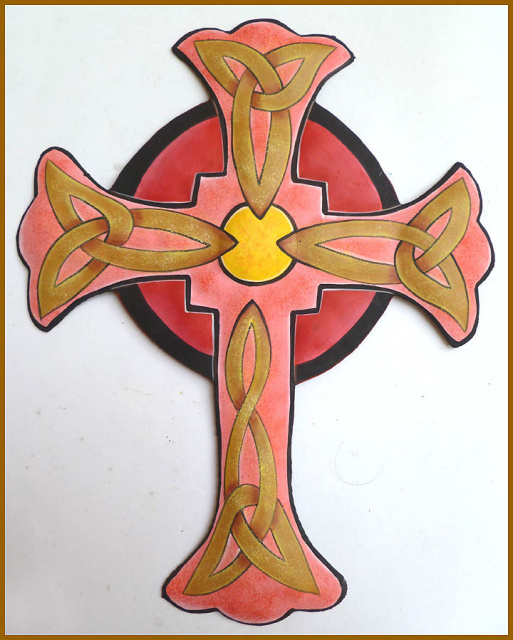 Hand painted metal cross measures 9 1/2" x12 1/2". Hand cut from steel drum in Haiti..